The 'flamingo xo' features a perfect pink combination including more polka dots, hot pink, 'xo' stamped white and satin aqua. The perfect combination for those pink lovers, available while stocks last. Great fast delivery and awesome products. Super cute, have had comments about both my hair ties and new lip colour. 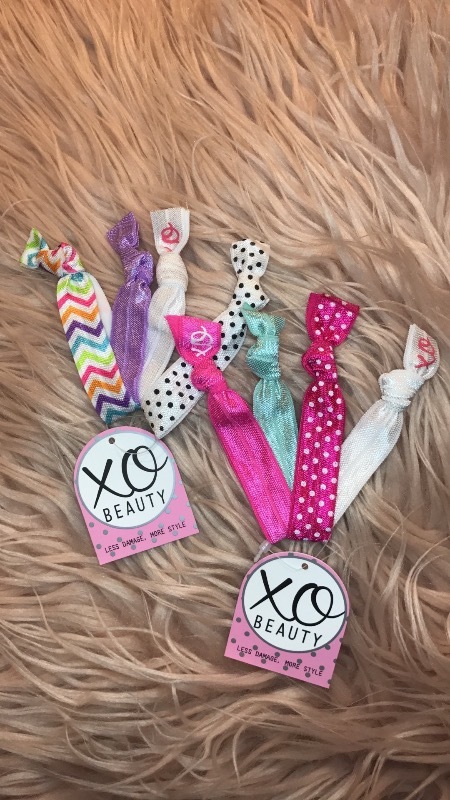 Love the stretchy-ness to the hair ties. I personally have curly hair and when I do occasionally straighten my hair, I hate the way traditional hair ties crease my hair . 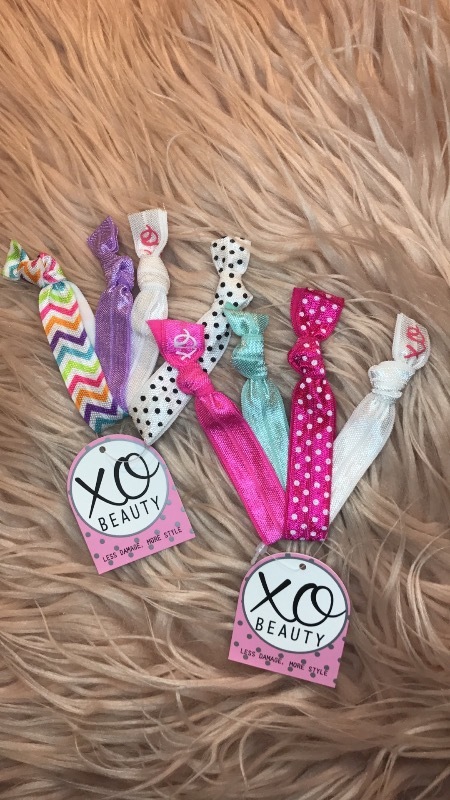 The xobeauty hair ties are a solution to this problem of mine.